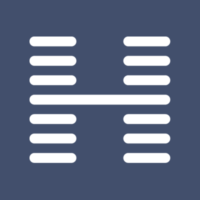 Hogarth Worldwide is a marketing implementation agency based in London with over 3.000 employees all over the world. We produce advertising and other marketing communications for our clients across all media and all languages. Our production expertise coupled with our powerful workflow and asset management technology delivers quality, control and savings for global brands. Strong knowledge of Microsoft Office applications (Outlook, Word, Excel, PowerPoint, Visio). Knowledge of typesetting applications (Illustrator, Photoshop, InDesign) and tagged files (HTML, XML) a plus. Excellent oral and written communications skills in English (English Native Speaker required only). Advanced language skills in one of these preferred languages is a plus: Arabic, Chinese, French, German, Italian, Japanese, Korean, or Vietnamese; otherwise, fluency in a language other than English.